Material Texts: Carlo Ginzburg (Scuola Normale Superiore, Pisa), "Medals and Shells: On Morphology and History, Once Again"
Monday, September 24: "Paleontology and Connoisseurship"
Tuesday, September 25: "Gods, Humans, Apes: Art History and Evolution"
Thursday, September 27: "Medals and Shells: On Morphology and History, Once Again"
Today we regard paleontology and connoisseurship as very distant spheres of knowledge. But are they not sharing a commitment to the decipherment of clues, either natural or cultural? This somewhat speculative argument can be substantiated by two historically connected case studies, focusing on the trajectories of two friends, Petrus Camper (1722-1789) and François-Xavier de Burtin (1743-1818). 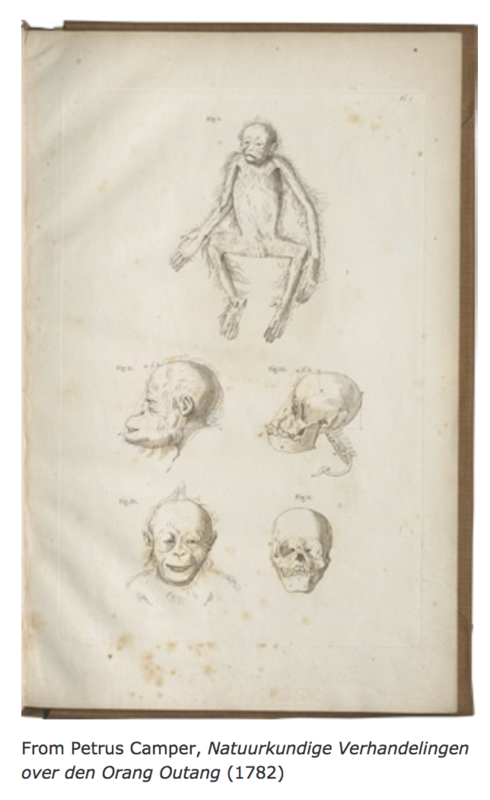 The former, a well-known Dutch anatomist, was interested in painting and physiognomy. The latter, a much less known but very remakable figure, moved from the study of fossils to the study of paintings. Their relationship unveils an unknown chapter in the history of antiquarianism and connoisseurship. Georges Cuvier (1769-1832) a leading figure of French (indeed, European) science, one of the founders of comparative anatomy, called himself "a new species of antiquarian": a striking, somewhat unexpected, although not original self-definition. But to understand its implications one has to retrace a complex intellectual trajectory (which includes both Camper and Burtin) that will lead to a new image of antiquarianism and its relationship with history, implying a partial revision of Arnaldo Momigliano's great essay "Ancient History and the Antiquarian" (1950). Ultimately, this reflection will lead to a reflection on what history was, and what can become in the frail, threatened environment we live in. Was it possible to articulate the idea of a descent of humans from big apes before Darwin? And if this has been the case, how? Through which cognitive instruments? Could either travel accounts or books dealing with political philosophy be read against the grain, playing the footnotes against the text? What is at stake is not a search for some forgotten forerunners of Darwin--an utterly useless, misleading notion--but, on the contrary, the possibility to reflect on the deep discontinuity between Darwin's project and natural history before him. From this discontinuity some visual and textual roots of contemporary racism will emerge. Carlo Ginzburg has been Professore ordinario di Storia delle culture europee, insegna at the Scuola Normale Superiore di Pisa since 2006. He is also Professor Emeritus in the Department of History at the University of California, Los Angeles. Among his many publications are Threads and Traces: True, False, Fictive (2006); The Night Battles: Witchcraft & Agrarian Cults in the Sixteenth & Seventeenth centuries(2002), and The Cheese and the Worms: the Cosmos of a Sixteenth-Century Miller (1980).